Midwest Severe Weather Threat Increasing! 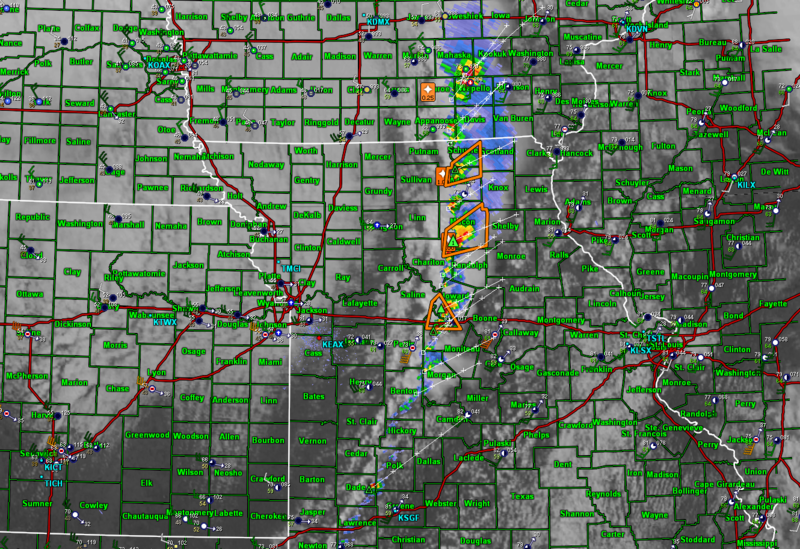 Storms are rapidly developing along the cold front in central Iowa and Missouri and will race off quickly to east northeast. A tornado watch has been issued for much of the area. Initially, storms will be somewhat discrete, but after a few hours will go into a line or various line segments. The tornado potential will be relatively higher until this happens. The Storm Prediction Center has a 10% risk of strong tornadoes in eastern Iowa and western/northern Illinois. My weather wall has all the latest Twitter feeds from the area! Check out pictures as they come in! Conditions are favorable for a few tornadoes in the area highlighted above. Here is a look at the overall surface pattern, as well as the significant tornado parameter, which can help show areas with the relatively greater risk of tornadoes.